Probably one of the most difficult tasks that I have faced in the 10 & 1/2 Yrs. of my sobriety is sitting down to work on a page called "My Hero". But I guess the title itself pretty much explains what I am about to write . I have an inner fear that I will not be able to "Measure Up", or "Do Justice" to a man that literally saved my life on numerous occassions. On one particular occassion early into my sobriety, I made an appearance at the local club house to attend an A.A. Meeting. Fritz was there and seemed to listen intently as I shared with the group. It was a real down day for me, and it seemed as though every word I spoke was on the negative side. They could have built a "Pity Pot" in the corner of the Club and I would have fit in it perfectly that night. 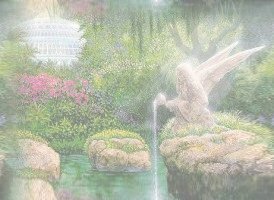 However, I felt perfectly secure in everything that I was sharing, and thought that the group would understand how the whole world was against me, and had treated me unfairly. At the end of the meeting, Fritz approached me and asked if we could talk in the next room. 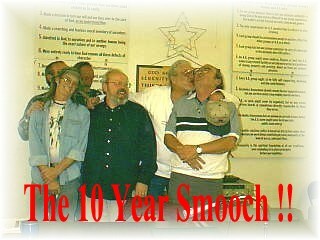 I was sure that he had all of my answers and was going to "secretly" give them to me in the other room (out of ear shot of the newcomers that wouldn't understand)On this particular night (like many others) Fritz was not wearing his teeth, and was chewing a wad of Skoal. He was kind enough to spit out the Skoal (but I could still smell it !!) before getting in my face and "Informing" me that I should "GROW UP OR DIE" !!! Feeling indignent, belittled, embarassed, angry, and downright humiliated, I rushed home to tell my wife what an injustice had been done to me. I won't go so far as to put down into words some of the things I called the man that night, but none of them were very kind.... My wife (being the good Alanon that she is) asked me if maybe he wasn't trying to draw my attention to something. Well, he darn sure did that !! It took some thinking through, and eating a big slice of humble pie, but I "finally" admitted that "maybe" he was right. Since this first incident with "My Hero", we have had several bouts of disagreements, and I must say that "most" of the times he was right. Thank You Fritz, for caring enough to tell me what I needed to hear and "NOT" what I wanted to hear. Websters Dictionary describes a friend as: "A person whom one knows well and is fond of; intimate associate; close acquaintance". Obviously Fritz was much more than that. 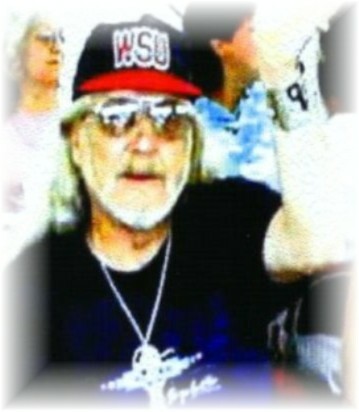 Just to name a few, he was: A Father Figure, A Confidant, A Teacher, and most of all my HERO !! He and I listened to a lot of AA Tapes together, and the one we seemed to enjoy the most was from a fella named Tom B., Tom talked about his "Hero", His uncle Bubba. We both got a laugh from that, and it was at that particular time that Fritz wheeled around to face me and said: Steve C. you are my Hero...... Well, little did he know that the feeling was absolutely mutual. 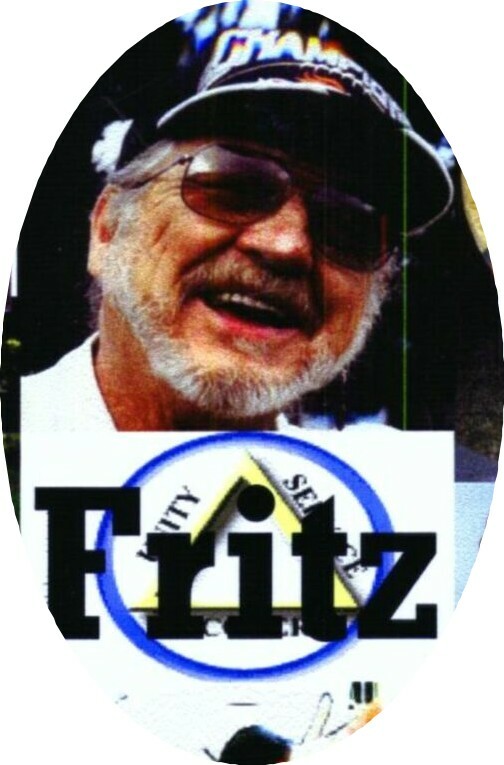 If you don't believe that Fritz has touched some lives in a very special way, please click on the link below to read a letter written by Annie M.
One of the great things that my friend loved to share with the people in his Fellowship and those in his Native American circles was his love for making Silver Jewelry. I remember that He thought long and hard about selling his work around some of the functions around A.A., and he finally came to the conclusion that He would do it, but not set up a stand, and only sell to those that requested to see his work. Always mindful of the Traditions of our Fellowship. I have chosen to share with you some of the "BEAUTIFUL" work done by my friend. Just click on the link below.... and ENJOY !! This story just would not be complete without mentioning man's best friend. Rusty was a true partner to Fritz. I recall him telling me how hurt he felt when he had to travel and leave Rusty at home. During one of his trips to Arizona Fritz asked me to check on Rusty and feed and water him. I walked through a 3 foot snow drift to get to him and found that some of the neighbors had beaten me to my good deed. Pueblo may be a town of 100,000, but there are still people there that think of their friends and neighbors. 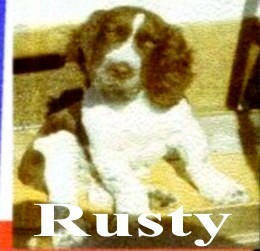 Rusty died prior to Fritz leaving us, and I still remember the numerous times that he spoke of his love for the dog and that he wishes he could have taken better care of him.... "Remember,,, I told you that the man had a "Big Heart" !! !